I love me some fresh pineapple! Pineapple aids in digestion - it contains a particular type of sulfur. Pineapple is a great natural anti-inflammatory. It helps to reduce swelling caused by gout, arthritis, sore throat, and sinusitis. Pineapple helps to speed up tissue repair when dealing with surgeries, diabetic ulcers, and other injuries. It also reduces blood clotting. Along with enhancing blood circulation. If you suffer from anemia or arteriosclerosis, pineapple has been found to treat both. Pineapple also helps to build heathy & strong bones! Pineapple contains a lot of vitamin C - which is very helpful for good oral health and overall health. thanks for sharing! my Dad has gout so I'll be sure to let him know! i didnt even realize you did a tuesday recipe link up! cant wait to start linking up!! I need to go stock up on some pinapple now! Pineapple is my all-time favorite fruit!!! Now I can say it has health benefits - how perfect is that!!?? Wow, I did not know all that stuff! 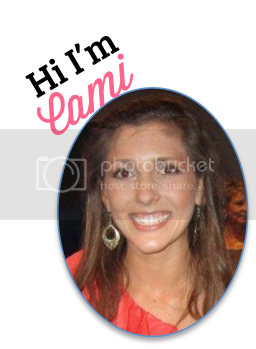 you always have so much wonderful information, cami! i was just telling my mom about your and your blog.